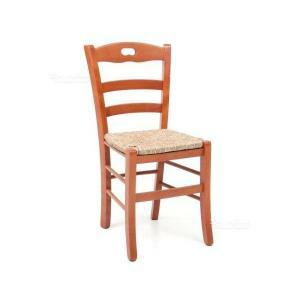 Kid chair is made in solid beech wood with straw seat. IS THE CHAIR EVER! Classic, rustic, light but very strong. It goes perfectly with the classic or rustic-country style. Thanks to the sinuosity of its curves it fits perfectly with any table.